As with you i sincerely do hope that they change Infusion back. This new iteration is not something that I think is necessary, unless they drop the base cast time down. While many paladins think that the mana regen will be nice, in a pvp or pve situation, getting the heal off faster is more important than the crit, IMO. I did not notice that the shattering throw removes any invulnerabilities. For my hunter I am saddened to see that there disarm will now disarm ranged weapons, but i am happy to see it in the interest of class balance. Did you also scroll down? Blessed Hands: No longer reduces cooldowns of Hand spells. Instead, it improves the effectiveness of Hand of Salvation by 50/100% and Hand of Sacrifice by an additional 5/10%. Enlightened Judgements: No longer increases the range of Judgement of Justice. Moved to Tier 10. –> What? Now we’ll be stuck having to judge Wisdom in PvE, or staying close to the boss… Also, moving to Tier 10 means we’ll need a replacement further up the tree, and it’s likely nobody will take this anymore anyway. I thought they wanted us to Judge? Infusion of Light: Now increases the critical chance of your next Holy Light by 10/20% instead of reducing cast time. Moved to Tier 10. Judgements of the Pure moved to Tier 9. –> Something to take, at least. Sacred Cleansing moved to Tier 8. –> Not really important, as far as I can see. The new aura changes are good I’d say, the 40m range is a long awaited change and the 11pts replacement ability can be moderately useful especially in PvP, with the bubulle removal, they know we will be much more sensible to silence. 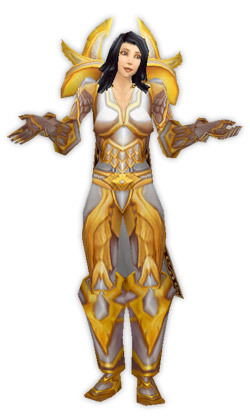 I’m a bit sad to see, as so many times for paladin lately, PvE gameplay having to change, sometimes a lot, because of class changes forced by arena “balance”. 3.1 is the come back of the druid as the best arena healer anyway, so I don’t see why they can’t see that and are still worried about healing paladin “dominance”. *shrug* these changes aren’t that bad for us in pve anyway, most of them will only hurt us in arena play. The change on Sacred Shield still shows that Ulduar will have a lot of aoe continuous damage (Hodir anyone ? ), so well, a bit more of what it so bad for us to heal. @Xiphias – Those changes are new since I made the post. I’ll add an update within a few hours, but in short – I agree with you. The Enlightened Judgements change is particularly terrible.